As most coffee-loving mamas can probably agree, there comes a time as our little ones grow when babyccinos just don’t cut it as the perfect cafe distraction. Our darling toddler doesn’t want to sit still for even thirty seconds to let us enjoy a sip of our hot cup of caffeinated goodness, there is too much fun to be had in the world (and the rest of the cafe!). 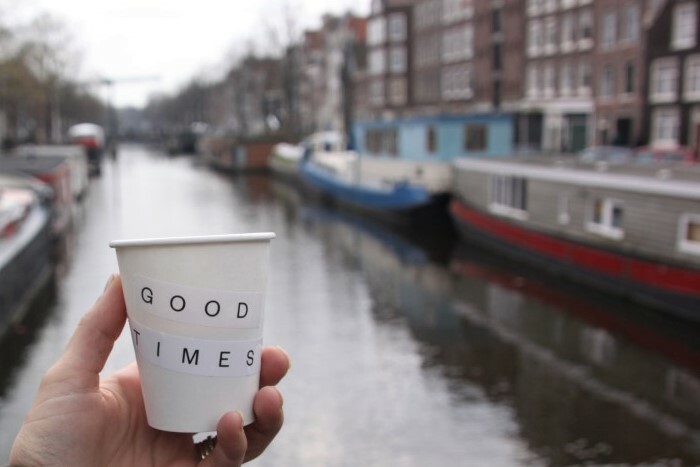 Inevitably at this stage takeaway coffees become your next best friend, so you can have your coffee and stay on the move with your active little one — and luckily Amsterdam has plenty of great cafes to provide you with your coffee fix while you’re out and about in town. 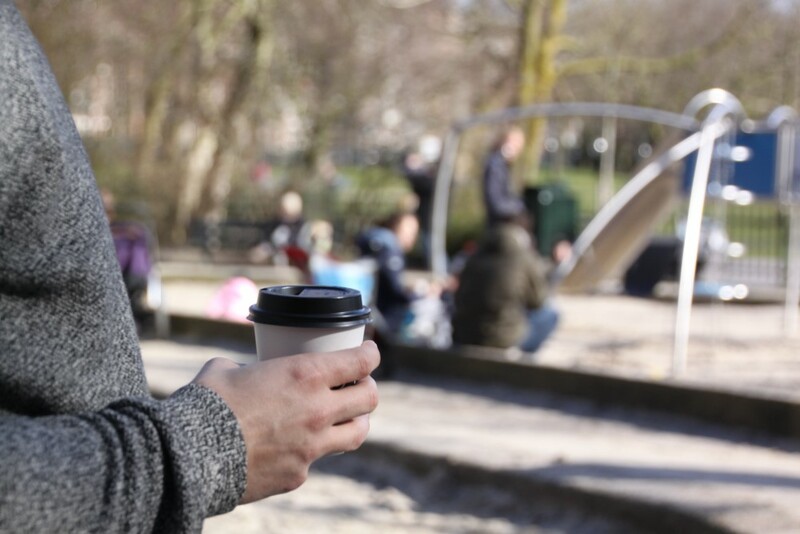 Here is our selection of favourite coffee spots that you can grab a quick (and really good) coffee from if you’re in the area – some even have nearby playgrounds! 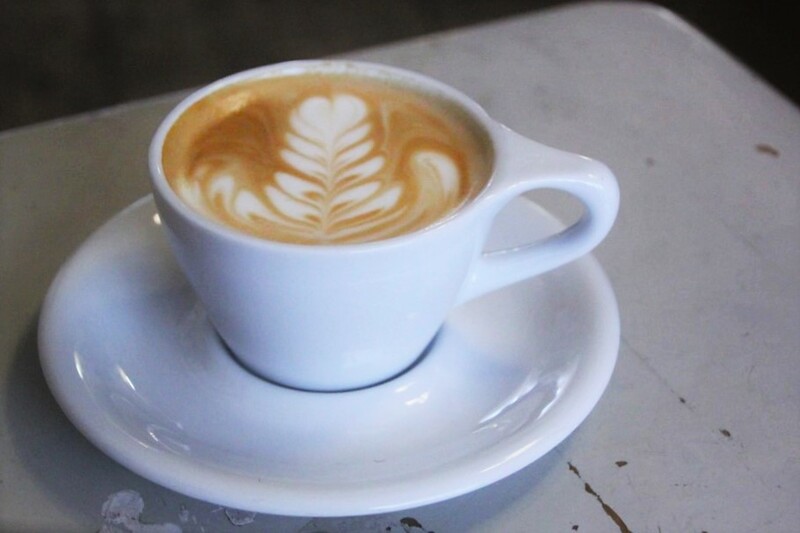 Of course you can always stay in and enjoy your coffee in the shop, as all of these cafes will also happily welcome you and your brood – but it’s nice to know you have the takeaway coffee option up your sleeve if needed. 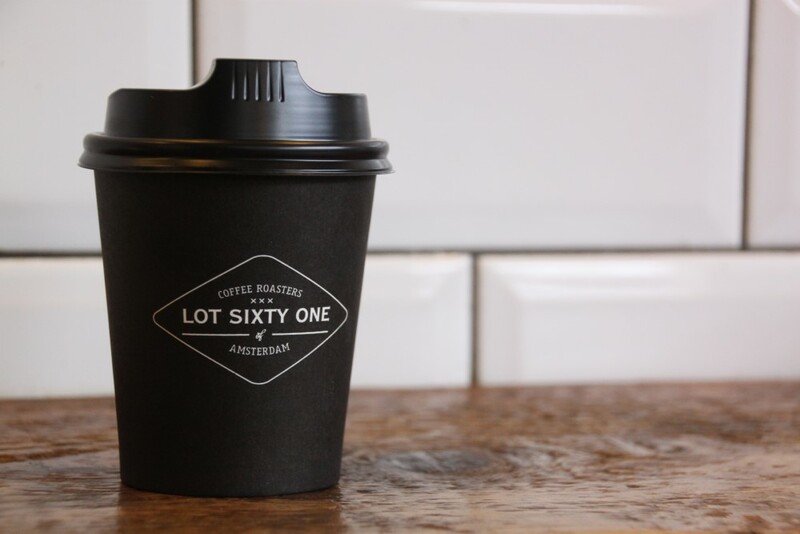 Lot Sixty One was started up by a couple of Aussies – and they truly bring the hip, artisinal coffee scene that Australia has become well known for right here to Amsterdam. They roast their own coffee beans, which they also sell to many other cafes around town (so keep a lookout as these guys are synonymous with good coffee). 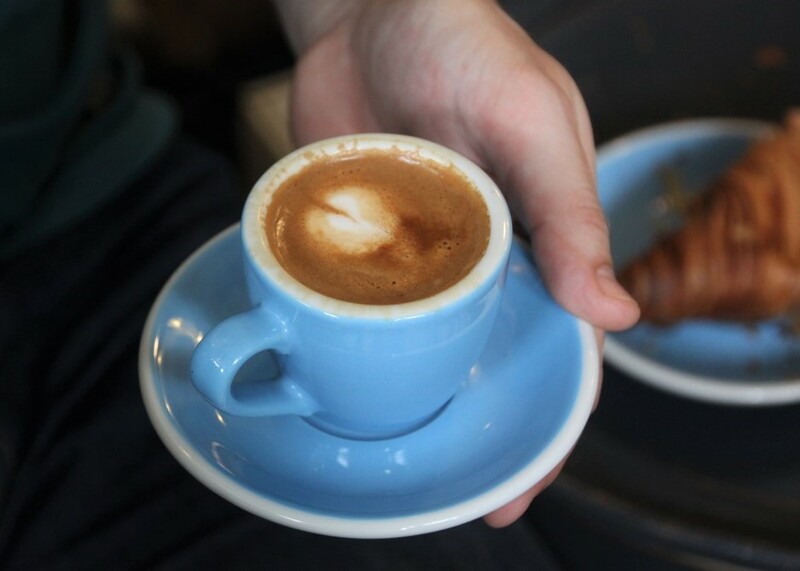 Lot Sixty One take their coffee very seriously – 2 shots of espresso in your coffee is standard! You really can rely on them for a consistently good, strong and smooth cup of your favourite brew. 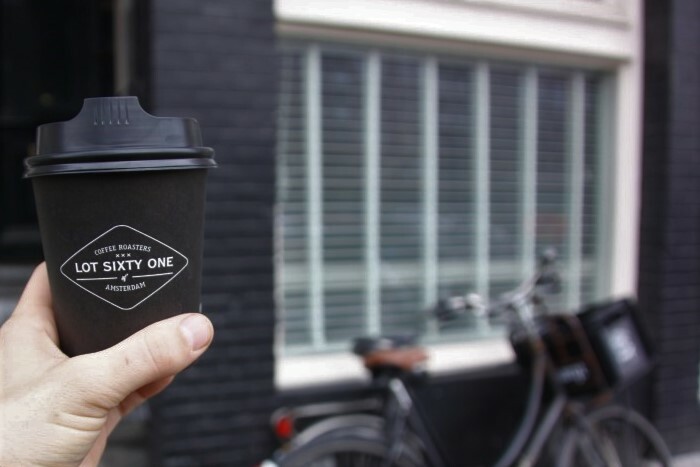 The original Lot Sixty One cafe – where they house their coffee roasting machines and their best baristas – can be found here on Kinkerstraat (only a few doors up from Foodhallen). 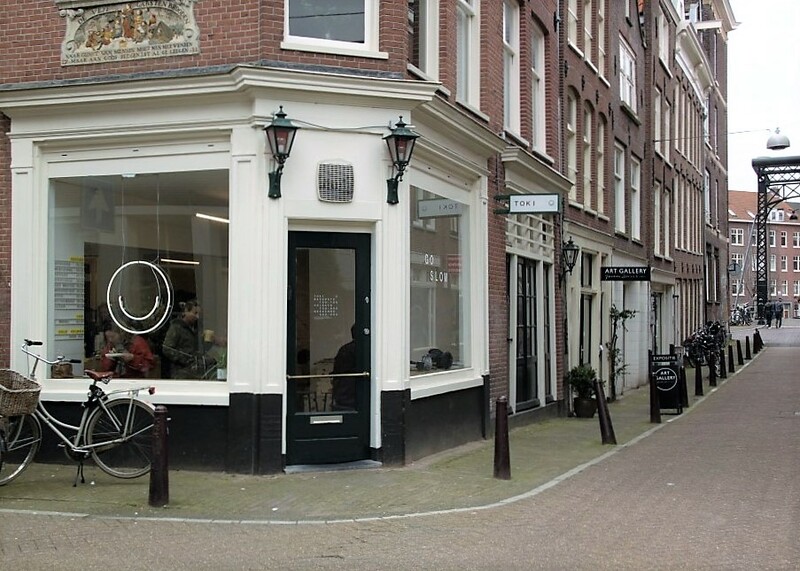 There is also a Lot Sixty One here as part of the hip BounceSpace co-working space — this is located only a couple of minutes walking distance from the Vondelpark, Amsterdam’s largest park and a wonderful place to go with your family for a stroll or play. The third Lot Sixty One cafe can be found here inside the Urban Outfitters store in the city centre, providing a great sneaky coffee stop if you’re shopping in town. Toki only opened last year in the trendy Jordaan district (see map), but it’s already made quite an impact on the Amsterdam coffee scene. The cafe itself has a bright and spacious layout, with trendy decor – and you will often see little ones running about while their parents enjoy a coffee, so by all means take a seat and relax! But if you did want to take in some of the beautiful surroundings of the Jordaan district, a stroll across the Brouwersgracht canal (one of Amsterdam’s most beautiful canals!) will bring you to a little outdoor play area that younger kids really enjoy. Here there are mini trampolines, swings and climbing frames – and it’s only a couple of minutes walk from Toki. There’s also a small play area on Vinkenstraat, not even a minute’s walk from Toki if you prefer to stay even closer. In De Pijp district great food and coffee can be found in abundance, but you have to know where to look. A favourite coffee spot that is conveniently opposite the beautiful Sarphatipark is Scandinavian Embassy. The coffee here is always good, and they don’t just stop at regular coffee. You can enjoy a variety of beverages that are truly unique and often derived from some part of the coffee plant — such as coffee fruit kombucha or water kefir with dried coffee flowers! It’s definitely worth a visit, and so easy to grab a takeaway and walk across the road and into the park. 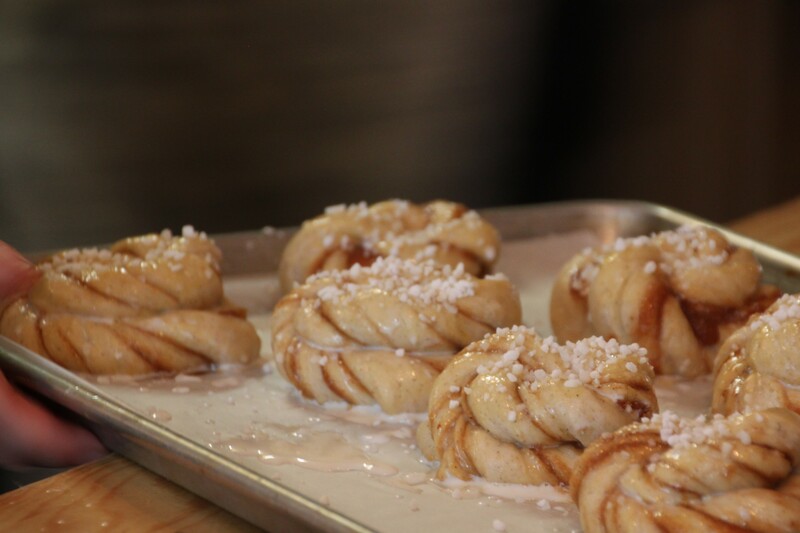 (Oh, and if you happen to spy some cinnamon rolls on their counter when you visit, you will not regret adding one to your order!). SmallableStylish children's fashion. 450 brands!